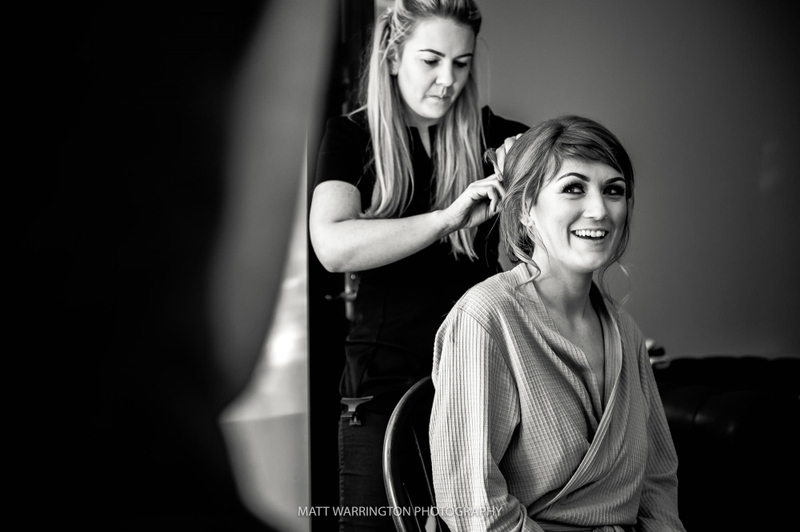 I couldn’t wait to share Alex & Matt’s Browsholme Hall Wedding photographs with you. Situated in the heart of the Ribble Valley Browsholme Hall & Tithe Barn was the stunning Lancashire wedding venue Alex & Matt chose to host their wedding reception. I started the morning at Alex’s parent’s house in Bolton with Alex, her bridesmaid’s and flower girls and page boy. 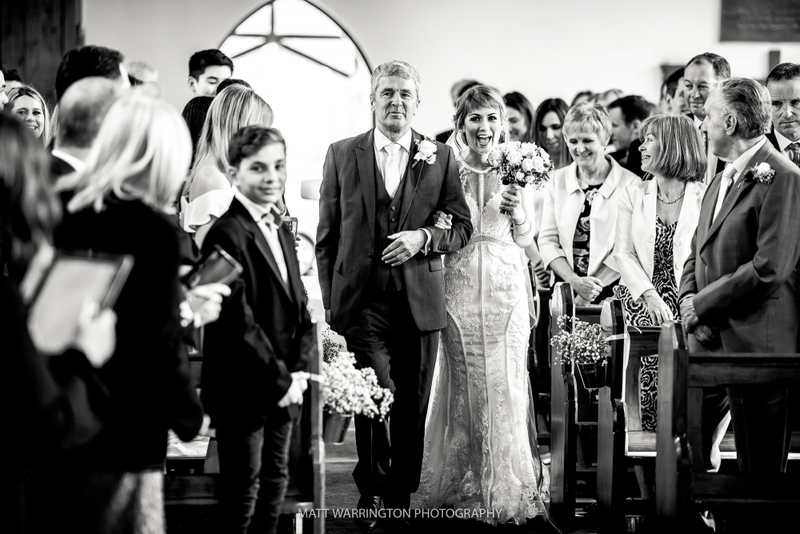 It was lovely to have Alex surrounded by her family the morning of her wedding and the atmosphere was really relaxed, Alex’s brother in law even came to the rescue with a rather ingenious way of steaming Alex’s veil using a kettle. A short journey to Holy Infant and Saint Anthony RC Church and Alex’s uncle, Father Philip ran their service, keeping the close knit family feel to the day. After the service all the guests were invited to the church garden for delicious traditional northern Pasties and Prosecco, I certainly didn’t need to be told twice to grab a pastie. Then it was off to Browsholme Hall, Alex & Matt arranged an old London Bus to transport their guests over to Clitheroe, a fitting tribute to Matt’s roots. We were treated to spectacular weather, the sun literally shone all day which meant a drinks reception and canapés out on the lawn, and also lots of fun on the bouncy castle. Because of the amazing weather I left Alex & Matt to enjoy all their time with their guests and we snook out after the meal for 10 minutes of natural couples photographs, nothing posed, just Alex & Matt enjoying a few minutes of their wedding day alone and me photographing it. I had such a brilliant photographing Alex & Matt’s Browsholme Hall wedding, here are just a few of my favourite images from the day. 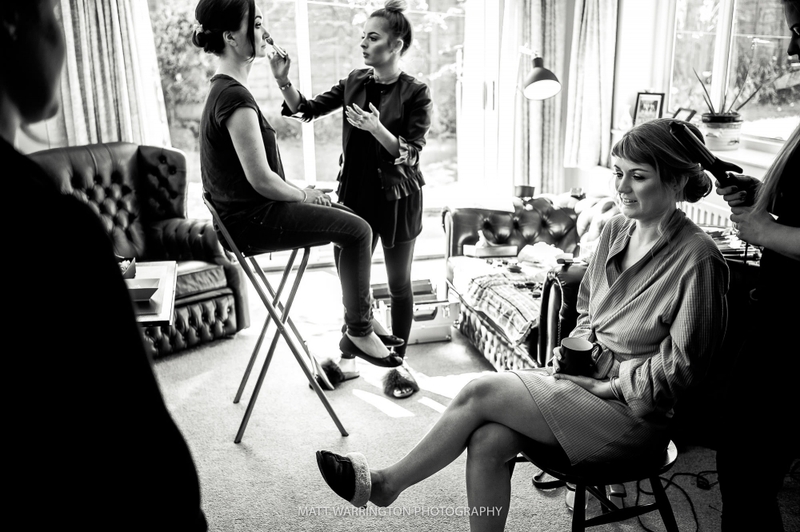 If you are looking for your Browsholme Hall wedding photography shot in a relaxed, natural way please GET IN TOUCH to discuss your day more.